Mardi Gras of 1873 provided the occasion for a bold display of political commentary and costume artistrly by the Mystick Krewe of Comus. Courtesy of the Louisiana Research Collection at Tulane University Library. 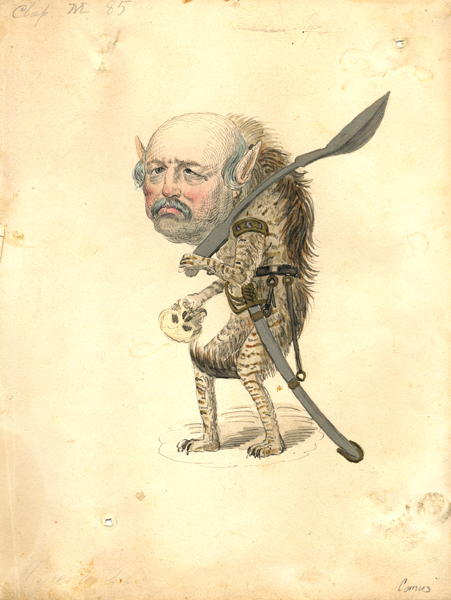 Charles Briton created this drawing of a Mardi Gras costume entitled "Hyena" for the Mistick Krewe of Comus' "Missing Links to Darwin's Origin of the Species" parade in 1873. 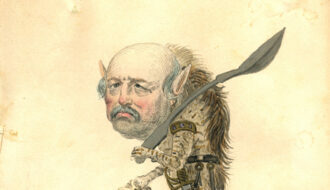 The hyena wears the visage of Benjamin Butler, the much-resented Union Major General who briefly governed the fallen New Orleans during the Civil War. Mardi Gras of 1873 allowed for a bold display of political commentary and costume artistry by the Mystick Krewe of Comus—New Orleans’s first organized parading organization, founded in 1856. 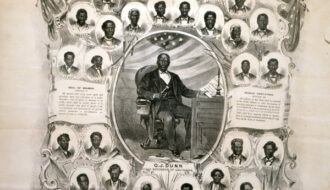 In its themed presentation of “The Missing Links to Darwin’s Origin of Species,” floats and costumed riders evoked Darwin’s theory of natural selection in a scathing critique of the supposedly unnatural changes taking place during the Reconstruction era, when African Americans and opportunistic newcomers aspired to leading roles in Louisiana society and politics. 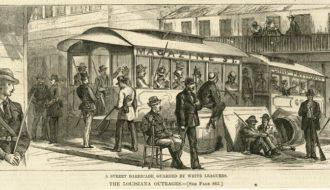 Set against a backdrop of rising violence in New Orleans and around the state, the 1873 Mardi Gras parade satirically asserted the prerogatives of traditional elites. It marked one of the first times the Darwinian analogy was co-opted by white supremacists, and it was the first parade that dared to depart from the political neutrality that krewes had previously shown in their parade themes and commentaries, establishing a tradition of satire that has remained evident in Carnival processions ever since. To court caresses from the fond Orang. Oh! Rosy hues of Time’s dim twilight morn! Of Darwin’s Eden, and our high estate. The parade was accompanied, somewhat incongruously, by the brass band of the US Army’s 19th Infantry, which occupied New Orleans after the Civil War, and by the carpetbagger-friendly New Orleans Metropolitan Police, whose chief was satirized in one costume as a dog. Hostile parade-goers assembled at the foot of Canal Street, where the Metropolitan Police sympathized and refused to force an entry for the Krewe of Comus into the French Quarter. The parade ended early, but revelers later staged a sensational Missing Links tableau for invited guests at the Mistick Krewe’s Carnival ball. The Missing Links parade farcically sent up both Reconstruction politics and Darwin’s theory of evolution (depicting the scientist himself as a donkey). Yet its authors earnestly opposed both the occupation of Louisiana by Union forces and the rise to power of African Americans and their supporters. The year after the parade every member of the Mistick Krewe would take up arms against the Reconstruction government alongside members of the White League in a confrontation known as the Battle of Liberty Place. Keith, LeeAnna "1873 Comus Parade." In https://64parishes.org Encyclopedia of Louisiana, edited by David Johnson. Louisiana Endowment for the Humanities, 2010–. 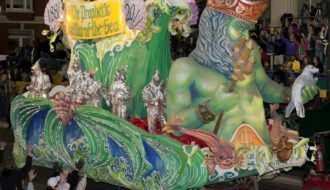 Article published October 22, 2014. https://64parishes.org/entry/1873-comus-parade. Gill, James. 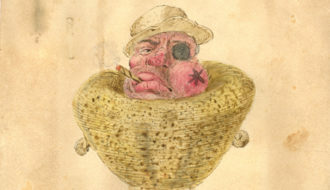 Lords of Misrule: Mardi Gras and the Politics of Race in New Orleans. Jackson, MS: University Press of Mississippi, 1997. Miceli, Augusto P. The Pickwick Club of New Orleans. New Orleans: Pickwick Press, 1964. Schindler, Henri. Mardi Gras New Orleans. New York: Flammarion, 1997.